The Launch Pad: MoonBots Phase 2: We Have Lift Off! MoonBots Phase 2: We Have Lift Off! 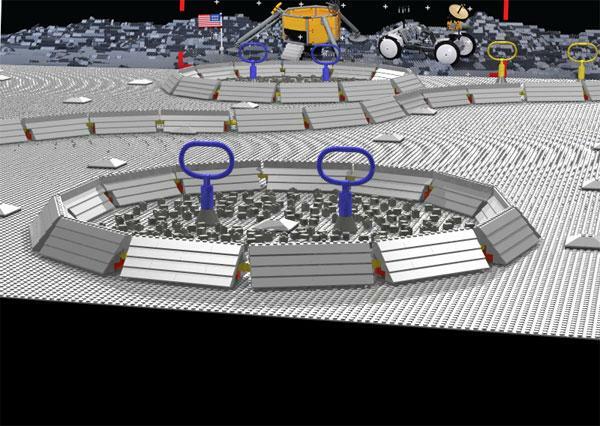 Yesterday -- Monday, June 27 -- marked the exciting kick off of Phase 2 of the MoonBots competition, a student contest where teams build and program LEGO MINDSTORMS robots to navigate a LEGO lunar surface to meet mission objectives. Phase 2 already?! What happens now? We're glad you asked! First of all, registration for the competition closed on June 26; in total, 75 teams from around the world submitted proposals about why their robot should be sent to the Moon and videos about a GLXP-related topic. A special judging panel now has the very daunting task of reviewing/scoring all 75 submissions and narrowing it down to the top 20 teams. With so many great teams signed up, this is no easy task! The top 20 teams will be announced next week on July 5. 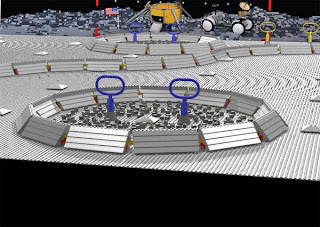 Those teams will then be sent a LEGO MINDSTORMS kit to build their robot and a LEGO lunar landscape that they will assemble into the official MoonBots gameboard for the ultimate test -- a live broadcast of their timed lunar mission. A panel of judges will watch the mission broadcast, and the team with the most points will win the grand prize: a VIP trip to the grand opening of LEGOLand in Florida! Team JURBAN and Team Got Ice? Stay tuned for updates and the announcement of finalists on July 5th. Good luck to all of the teams -- we look forward to seeing your LEGO 'bots this year!